The North Dakota Petroleum Council (NDPC) will host its 36th Annual Meeting on Sept. 26-28, 2017, at the Alerus Center in Grand Forks, N.D. Industry leaders and decision-makers in the Bakken will convene to present the latest in oil and gas recovery and transportation, technological advancements and efficiencies, and the outlook for production in 2018 and beyond. The meeting will host more than 20 distinguished panelists and speakers, including business leaders, innovators, regulators and policymakers. Keynote speakers include Vincent DeVito, Counselor on Energy Policy for the U.S. Department of Interior; Stephen Moore, author, FOX News commentator, Heritage Foundation economist and policy advisor for President Donald Trump; and Helen Currie, senior economist for ConocoPhillips. This year, the NDPC is also introducing its new Membership Excellence Awards and will recognize three companies that have distinguished themselves as leaders in safety, environmental stewardship and community engagement. The NDPC will also recognize this year’s Distinguished Industry Leader, Outstanding Public Servant and Hall of Fame Inductee. 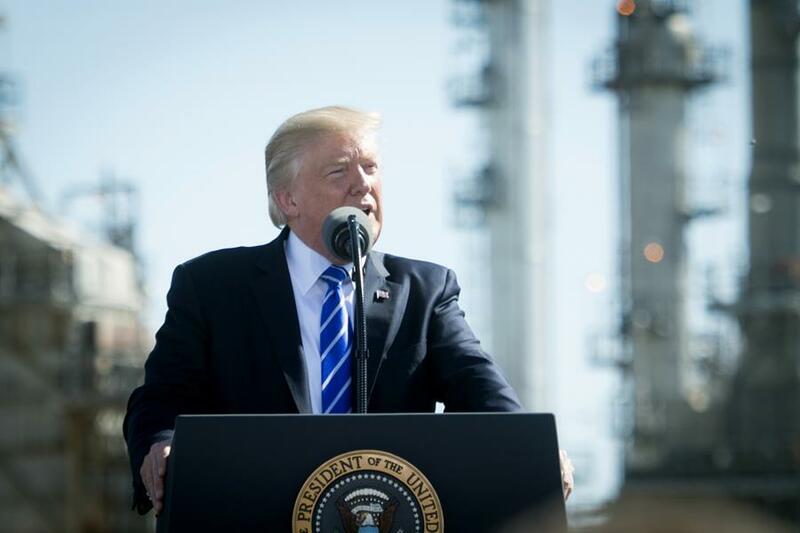 President Trump once again paid a visit to Bismarck-Mandan, using the Andeavor (formerly Tesoro) Refinery as his backdrop for a speech on comprehensive tax reform. 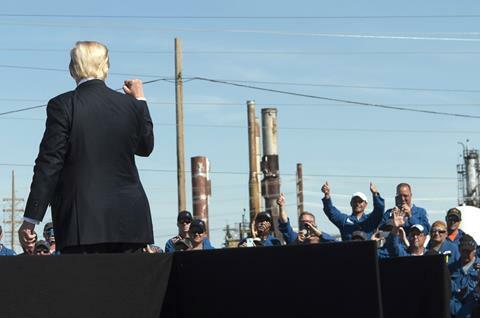 Trump greeted more than 500 people who attended the event, including several refinery employees. Trump’s boasted efforts by his administration to reduce regulatory burden on industry and business and also announced plans to simplify the tax code, cut taxes for middle class families and reduce the burdens on American businesses to allow them to hire and grow in America, to raise wages for American workers, and to help rebuild our American cities and towns. The Williston Basin Petroleum Conference, the largest oil and gas conference focused exclusively on the Bakken, will return to Bismarck in 2018. The event, which draws has historically drawn as many as 4,200 people, will be held May 22-24, 2018 at the Bismarck Event Center. There is still time to register for the NDPC’s 36th Annual Meeting in Grand Forks. Network with peers and hear from industry’s leading experts. The NDPC will host its Annual Christmas Social in Bismarck on December 7, 2017. 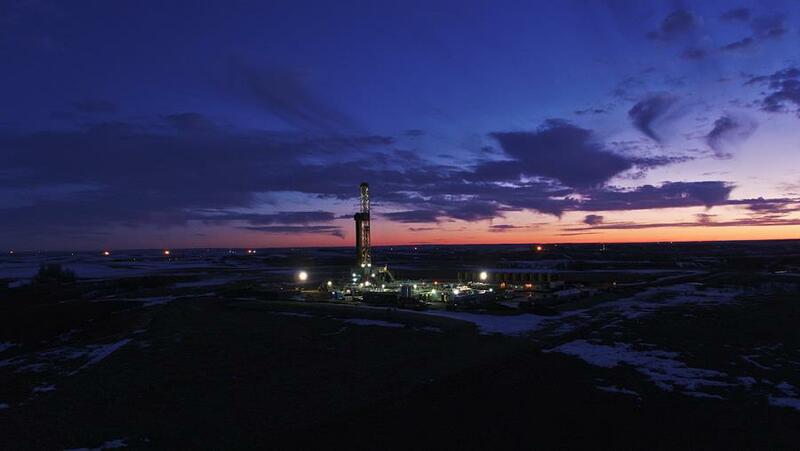 The 26th Annual Williston Basin Petroleum Conference will be held May 22-24, 2018 in Bismarck. If you have a photo that shows our industry at work or from a new perspective, please email them by November 1 to Tessa Sandstrom at tsandstrom@ndoil.org. *Any submitted photos will not be used for any other purpose without prior permission. The NDPC hosted FLIR Training & Certification September 11-15, 2017, at WBI Energy headquarters training room in Bismarck. There were 35 participants from 24 different companies from 6 different states who attended the classes. The NDPC negotiated a 50 percent discount for the certification, which is the same as that obtained by the North Dakota Department of Health field inspectors. The classes were started as an effort to help companies use the technology in finding and addressing fugitive emission, helping the industry meet both environmental and safety goals. You’re receiving this email because you are a member or an employee of a member company of the North Dakota Petroleum Council.